The band takes its name from the first world atlas, published by Joan Bleau in Amsterdam in the 17th century. Founded in Austin, TX in 2009, Atlas Maior was inspired by the idea of creating original music encompassing the group’s wide range of musical inspirations, including Egyptian composer Mohammad abdul- Wahhab, Lebanese oud player Rabih Abou-Khalil, bassist Avishai Cohen, jazz artists Jackie McLean, Pharaoh Sanders, Sun Ra, and fusion projects such as Amalgama, Ojos de Brujo, Shakti, and local Austin world music pioneers Atash. Since its formation Atlas Maior has been creating original material, performing throughout Texas, and engaging creatively with other Austin-based musicians. 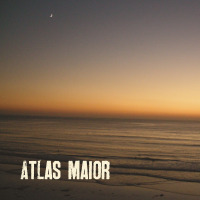 The group released the Atlas Maior EP in 2011, and followed up with the 2012 release of Four Shades, Atlas Maior’s first full-length album, recorded at Mohr Music Studios. In September 2013, Atlas Maior embarked on an international tour and cultural immersion experience in Istanbul, Turkey, where they performed at a variety of venues including a local university, and took music lessons from well-known Turkish musicians. The summer before leaving for Istanbul, the group undertook a series of improvisatory recording sessions at Bell Tree Studios in Austin, TX, featuring double bassist Gary Calhoun James, along with guests Bob Hoffnar (pedal steel), and Sari Andoni (oud). During these sessions Atlas Maior experimented with a variety of instrumental and sonic arrangements, exploring different methods of improvisation and cosmologies of sound. Many of these exercises explored themes of symmetries in sound through different instrumental arrangements. 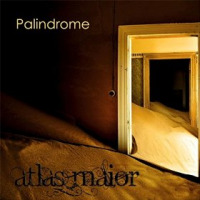 The result of these sessions was Palindrome, Atlas Maior’s 2014 two-disc album comprised entirely of live improvised material from these studio sessions. The release of Palindrome capped off an exciting year of growth for Atlas Maior, which included the international tour in Turkey, placement in Marrakesh, Morocco’s 5th Biennial Art Festival, and a proclamation by Austin’s City Council of Atlas Maior Day on March 27, 2014. In 2015 the group continued to refine sketches of new material, culminating in the fall 2015 release of Keyif, a 3-track EP. 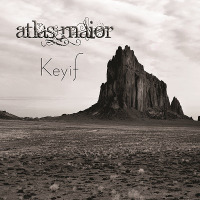 Keyif, a Turkish concept that translates roughly as enchantment, delight, and conviviality, traces Atlas Maior’s approach to music and life. Keyif demonstrates the group’s maturing sonic identity by featuring original material, while also exploring their multidimensional musical influences. All About Jazz musician pages are maintained by musicians, publicists and trusted members like you. Interested? 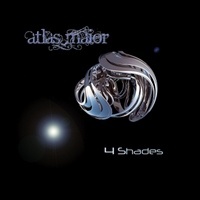 Tell us why you would like to improve the Atlas Maior musician page.